Reliable. Responsive. Ready to serve. 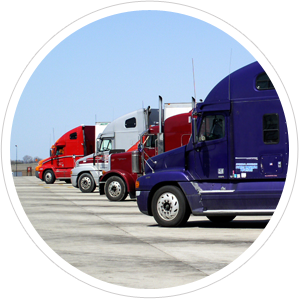 On A Roll Trucking has become a go-to freight broker for a wide variety of top tier customers and trucking companies. We facilitate over the road trucking and intermodal container capacity for our customers and serve to support our customer and trucking partners’ sales initiatives. Our approach is to be accessible and accountable and to bring value by matching those who have transportation capacity with those who need capacity. We work to make sure our customers and trucks get results every time. Areas served 48 contiguous united states. Trucks in every one. We service all areas and have a proven history of working with time sensitive, high-touch commodities including: fresh fruits and vegetables, frozen food stuffs, grocery items and manufactured goods. 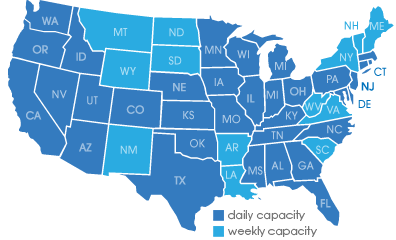 On A Roll Trucking can help in every state at anytime. Our challenge is to balance time and price without ever sacrificing service. Call 888 876.5563 or email us so we can work for you. Customers Less layers. More access. Better results. We differentiate ourselves by maintaining the highest level of service while staying true to being a flat organization. Our executive leadership works shoulder to shoulder with Operations, Accounting, Records and Risk Management. Everyone is a stakeholder and is working to ensure all details are accounted for, questions are answered, confidence is secured and expectations are exceeded. Our goal is to earn your business and to become an extension of your desk. Making your priorities our priorities we employ our expertise to find the sweet spot – keeping service constant we balance times, needs, capacity and conditions. A top priority at On A Roll Trucking is to make calculated decisions when hiring trucks. 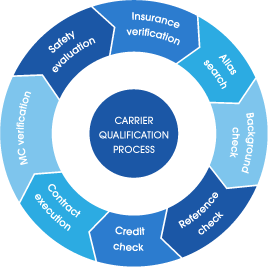 This has led us to tighten the steps and controls in the onboarding process to include all of the following steps before giving the truck the green light in our system. 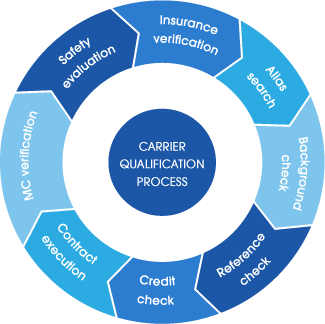 Carriers Good people. Great loads. Excellent credit. We tell our carriers the same thing we tell our customers – people do business with people, who deliver results. Our business services are dependent on your dependability. The reliability of your equipment is critical as is driving performance but nothing is more important than communication. Both small and large fleet truck companies are important to our business and we strive to create value both through competitive rates and reliable loads. Additionally, we appreciate the importance of our credit rating and creditworthiness and we work extremely hard to ensure our reputation is intact and your terms are always met. If you want to get paid faster than our normal terms we offer both AP (advance payment) and QP (quick payment) for eligible loads. We also offer Loss Prevention and Mitigation Services. Problems happen, trucks break down, cargo gets damaged and unfortunately can lead to claims; they are part of the risk we all take, but actual losses can be preventable. 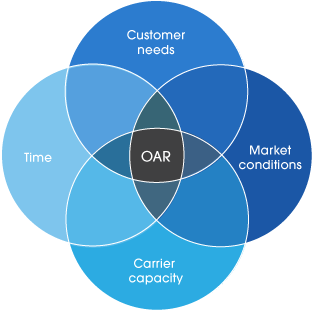 As a service offering, OAR Salvage Services, uses our extensive network of distributors, secondary market suppliers and expertise in the supply chain to help mitigate any loss when it occurs. This includes warehousing, x-docking, cartage, wrecker support, labor for sorting, segregating and restacking and ultimately selling into the secondary market as a price after sale when needed. Our ability to get returns can often outperform salvage companies and insurance adjusters and instead of the trucking company going at it alone, we’re here to help reduce the exposure. OAR Salvage Services are not exclusive to On A Roll Trucking, Inc. Please email us if you want help. our setup packet or complete our Onboarding Process. On A Roll Trucking, Inc.
We are always looking to add to our team with driven, talented hardworking people. Please click here to view current openings or email us your resume.